Beniarbeig is a traditional and friendly mountain town with a farming tradition dedicated to producing citrus fruits. It is situated just nine kilometres from the sea and five minutes from the towns of Ondara, El Verger and Pedreguer. It is found at the entrance to La Vall de la Rectoria, to the south of the Segària mountains, surrounded by beautiful countryside made of orange, olive and almond orchards. Every week it enjoys a typical local market with local products, often visited by travellers and residents of the area. 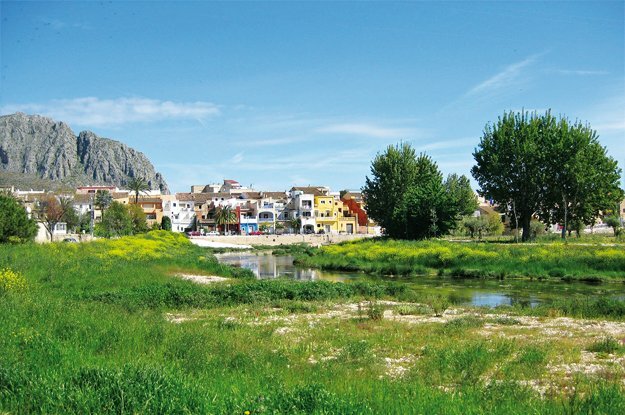 La Vall de la Rectoria is one of the most beautiful valleys on the Costa Blanca, known for its fantastic views, the beauty of its fields and the peace and quiet of its towns, backing up the description of it on its website as a small fantastic place. Browse Beniarbeig property for sale listings.